Aral Sea's surface area has now shrunk by approximately 74%, and its volume by almost 85%. The ecosystem of the Aral Sea and the river deltas feeding into it has been nearly destroyed, not least because of the much higher salinity. 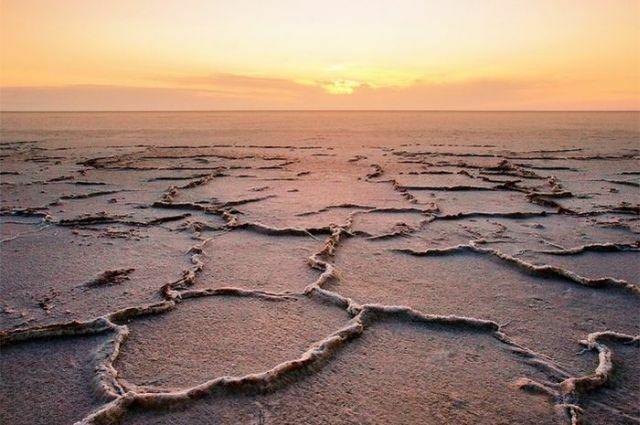 The land around the Aral Sea is also heavily polluted, and the people living in the area are suffering from a lack of fresh water, as well as from a number of other health problems. The receding sea has left huge plains covered with salt and toxic chemicals, which are picked up, carried away by the wind as toxic dust, and spread to the surrounding area; the population around the Aral Sea now shows high rates of certain forms of cancer and lung diseases, as well as other diseases. Crops in the region are also destroyed by salt being deposited onto the land. The United Nations has estimated that the sea will essentially disappear by 2020 if nothing is done to reverse its decline. 1. Help people who lack access to clean drinking water. 2. Provide local medical institutions with essential medications and medical equipment to help treat people in the region. 3. Creating GREEN BELT (planting Haloxylon trees around surrounding cities) prevents dust and salts from spreading.